The reason to do cardio does not end with fat loss though; there are a wide variety of health benefits you receive from a regular cardio program. Building muscle mass is a combination of an overloading stimulus and sufficient rest to allow the muscle to heal itself. If you skew this balance either direction, either working out too much or providing too much rest in between, you aren't going to get optimal results. The more frequently you are able to work a muscle though (assuming full recovery has been achieved) the faster you will add additional new muscle. Cardio helps you do this. Just don't take this too far as excess cardio or cardio done at such a high intensity that it places additional strain on the muscles is going to actually hinder recovery rather than aid it. 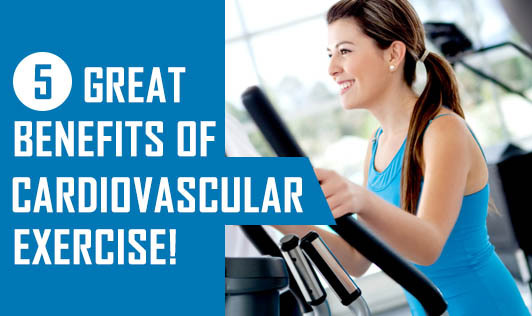 Those are just a few of the benefits that you will see with regular cardiovascular exercise.If you are just getting started, first focus on simply finding an activity that gets you moving and gets your heart rate up. Those are the two key components to what cardio is. Any form of exercise will do, whether it is going for a walk, a bike ride or performing in an organized sport. The important thing is to keep your body moving. Weight lifting, unless done in a circuit style fashion, would not be considered aerobic cardio exercise since you are not moving continuously. It would be anaerobic and would use a different energy system than that of cardio (the ATP-CP system). As you build up your fitness level, then you can concentrate on performing more advanced forms of cardio such as interval training, tempo training, HIIT sprints and so forth. First get started on building a solid cardio base though and then work from there. Cardio is one thing you do not want to overdo in the beginning because spending hour upon hour on a machine at a moderate pace is really not going to give you any further benefits than someone doing a more moderate volume. Once you are able to do 30-45 minutes 3-5 times a week then step it up a notch and look at those advanced principles. It's usually better to increase the intensity of your cardio, rather than the volume (unless you happen to be training for a long distance even such as a marathon for example). So now that you know the basics of what cardio is, the benefits of including cardio and how to go about starting it (or progressing from where you currently are). Put this knowledge to good use in your workout program.